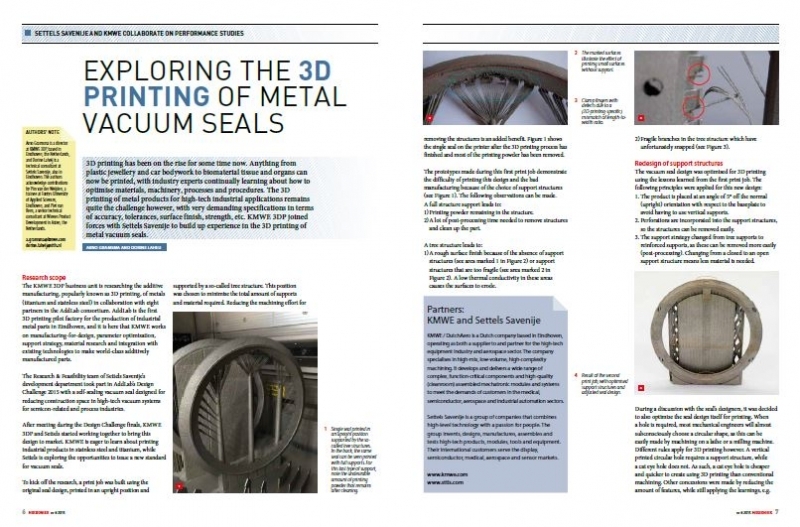 2016-05-02 Read all about 'Exploring the 3D Printing of Metal Vacuum Seals' written by Dorine Laheij from SSvA, and by KMWE, published in Mikroniek nr 2 of 2016. 3D printing has been on the rise for some time now. Anything from plastic jewellery and car bodywork to biomaterial tissue and organs can now be printed, with industry experts continually learning about how to optimise materials, machinery, processes and procedures. 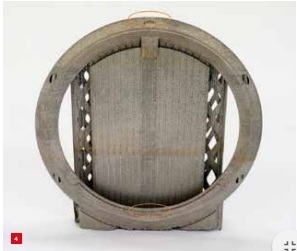 The 3D printing of metal products for high-tech industrial applications remains a challenge, however, with very demanding specifications in terms of accuracy, tolerances, surface finish, strength, etc. KMWE 3DP joined forces with Settels Savenije to add to their experience in the 3D printing of metal vacuum seals.